Dual guitar Blues/Rock album with driving bass, drums and soulful vocals. Blues/Rock album featuring some well-known, and not so well-known, blues classics. 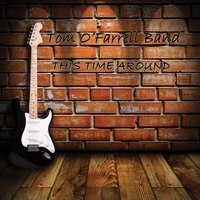 Featuring John Piccolo on vocals and guitar, Fred Fagan on bass, Jim Murphy on drums and Tom O'Farrell on guitar. Piccolo and O'Farrell's different guitar styles make for a very unique sound layered over the dynamic rhythm section of Murphy and Fagan, topped off by Piccolo's soulful vocals.